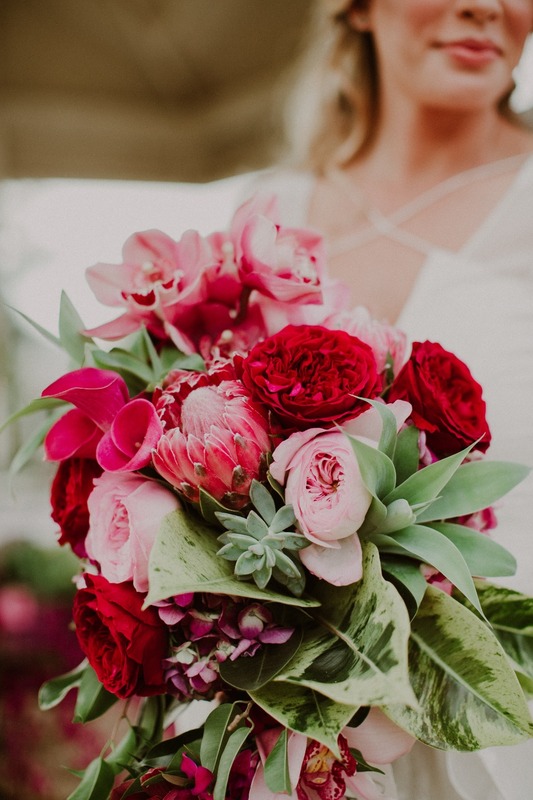 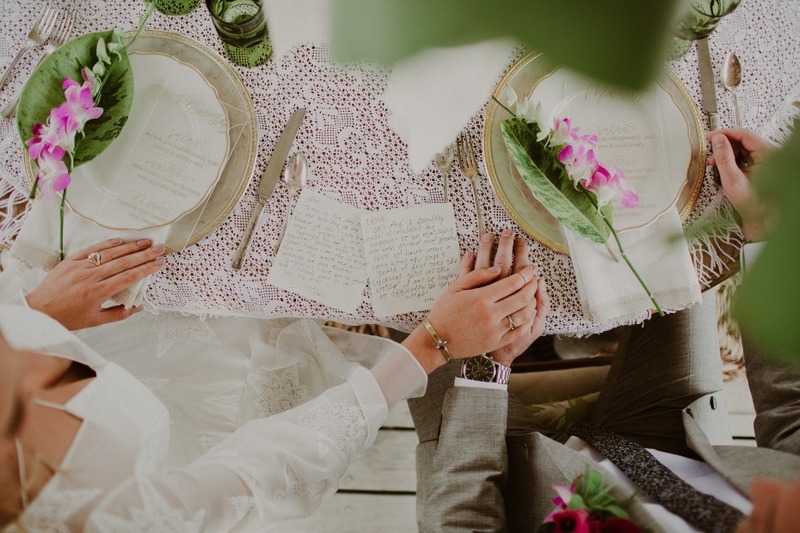 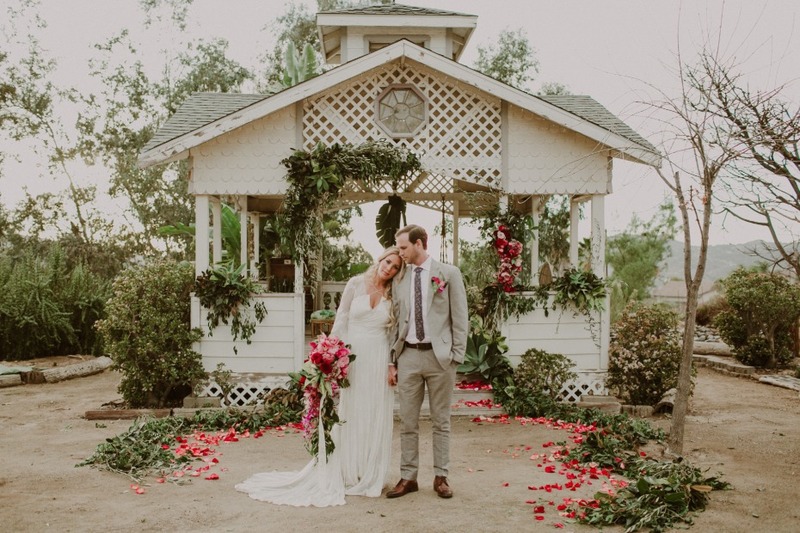 Shabby chic meets jungalow for this dreamy Valentine’s Day wedding inspiration. 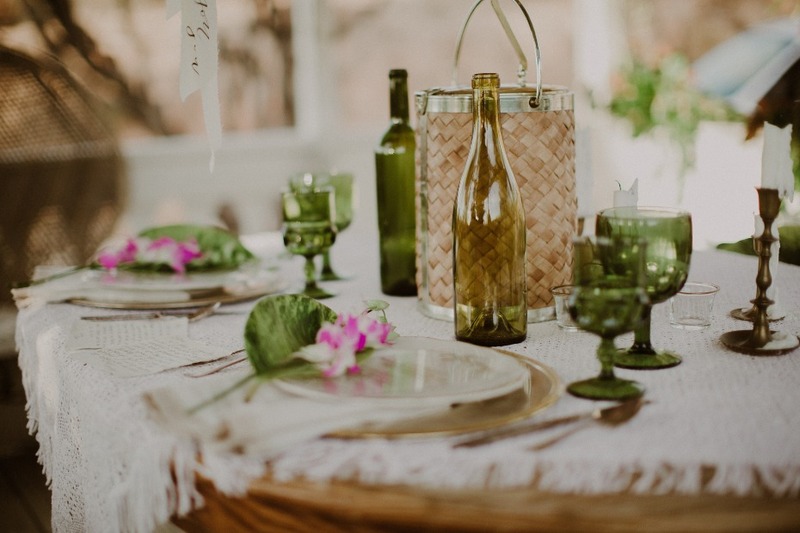 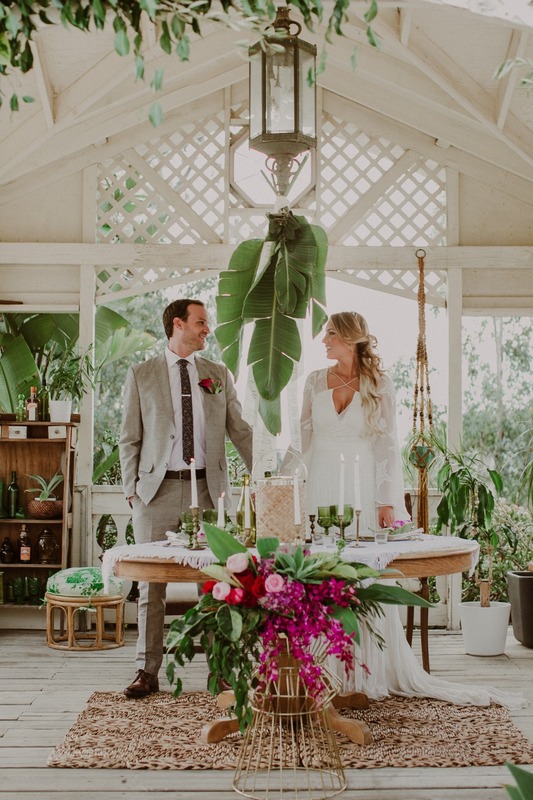 We’re talking tropical plants, bright florals and one gorgeous gazebo with a sweetheart table for two and vintage decor. 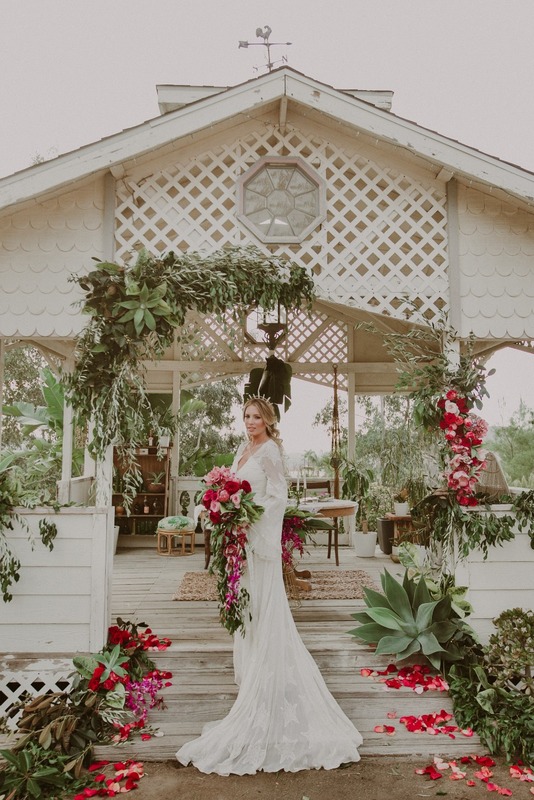 We love the tropical vibe throughout this shoot at Hey Babe Ranch and know deep down you will too. 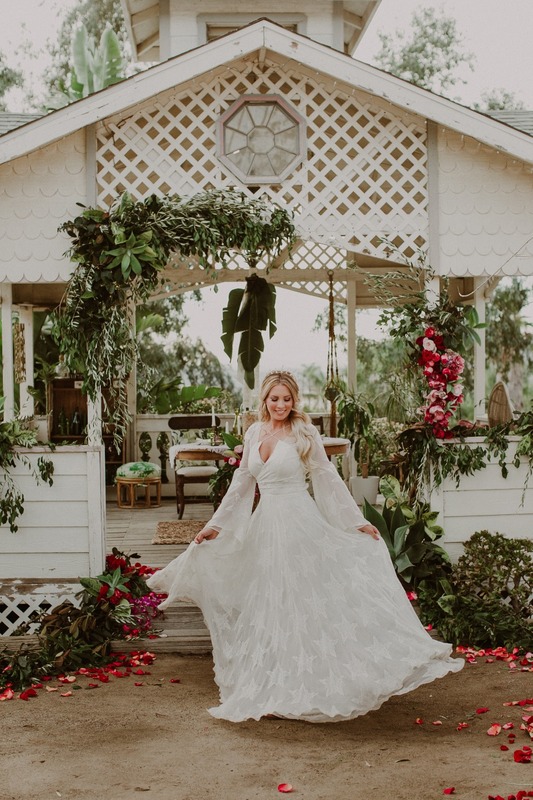 Especially the brides UH-MAZING Rue De Seine wedding dress, and what about that gorgeous crystal crown from Flight of Fancy? 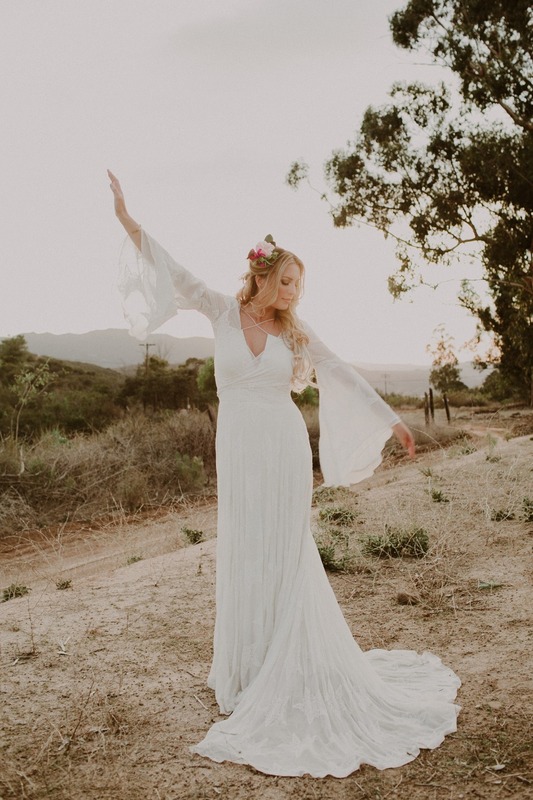 Her flawless bohemian bridal look is worthy of a queen for this Valentine’s day shoot styled by The Mintery and Thumbprint Weddings and Events. 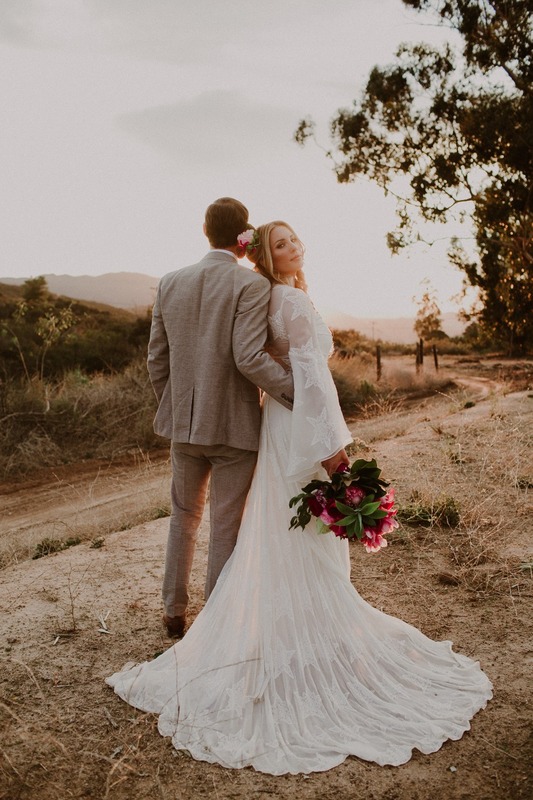 Paco and Betty captured every last detail, so be sure to check out the full gallery after for more must-see moments. 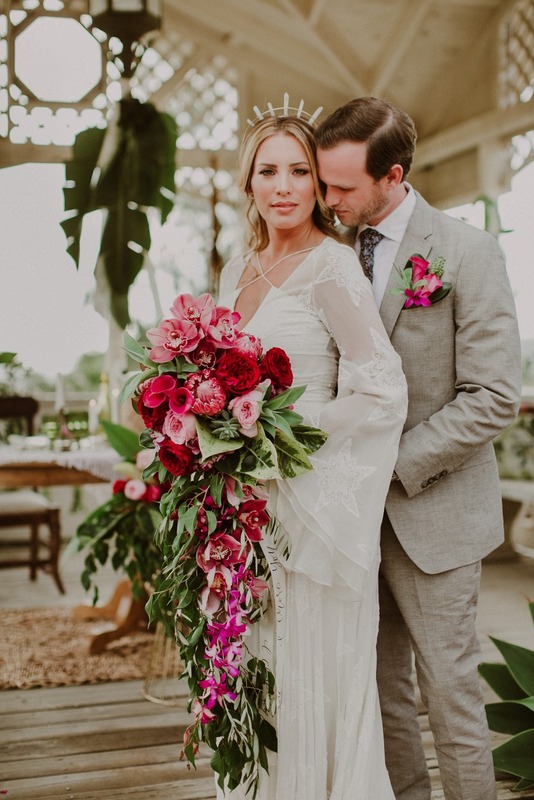 From Whitney of Paco and Betty: We thought we would put a little spin on the traditional Valentines romance and go tropical! 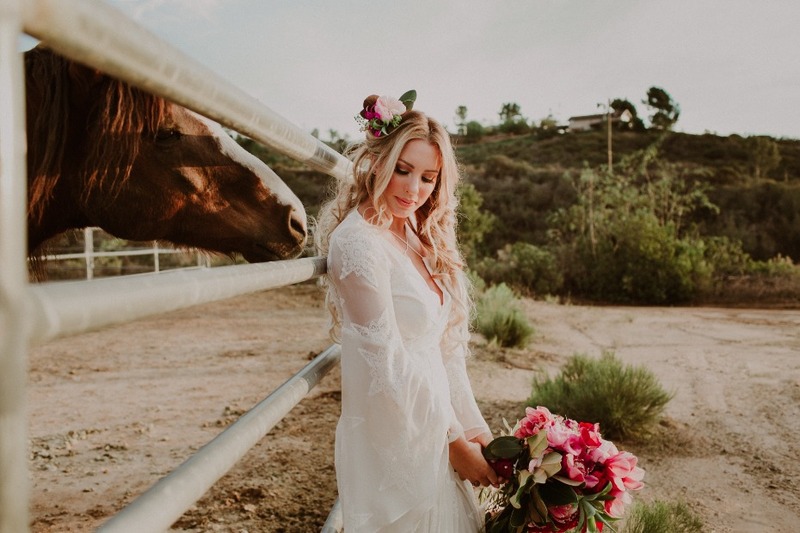 Thumbprint Weddings & Events gathered some really great talent to pull off this amazing fairytale scene. 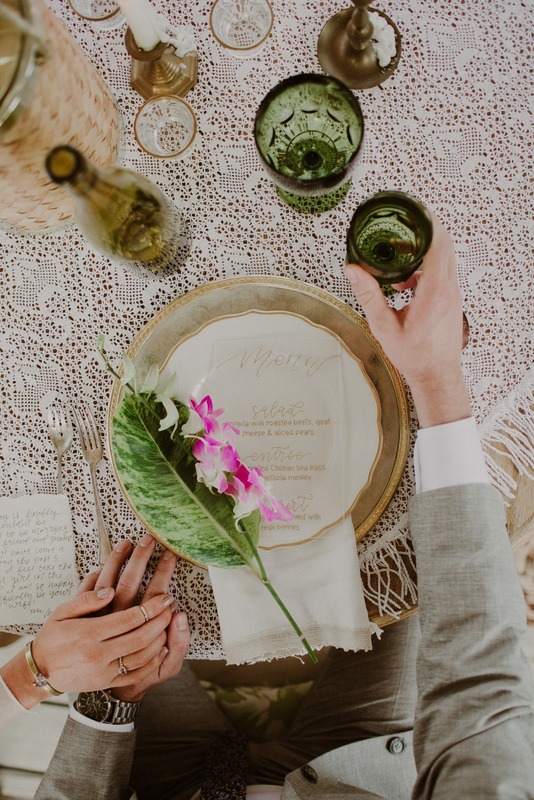 The coziness of the shabby chic gazebo at Hey Babe Ranch mixed with the impressive styling from The Mintery using house plants and home decor along with tropical trees peaking through the gazebo windows all made for a great stage to create a fresh take on a romantic dinner for two. 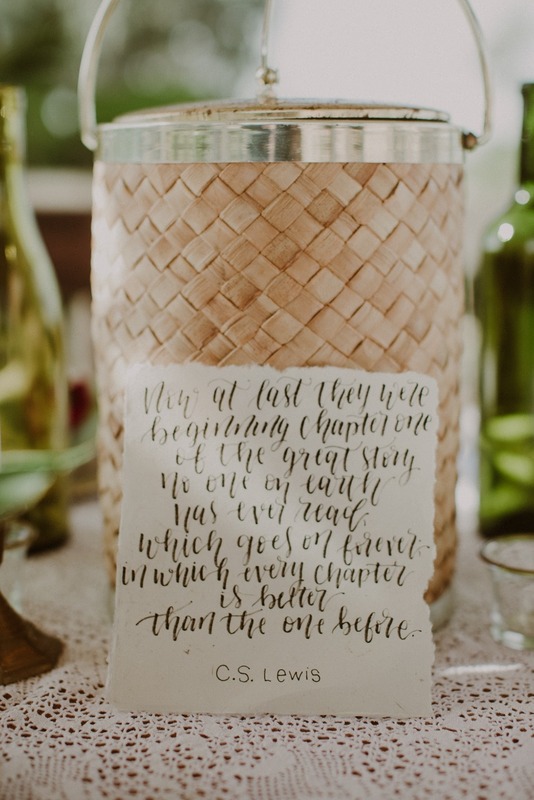 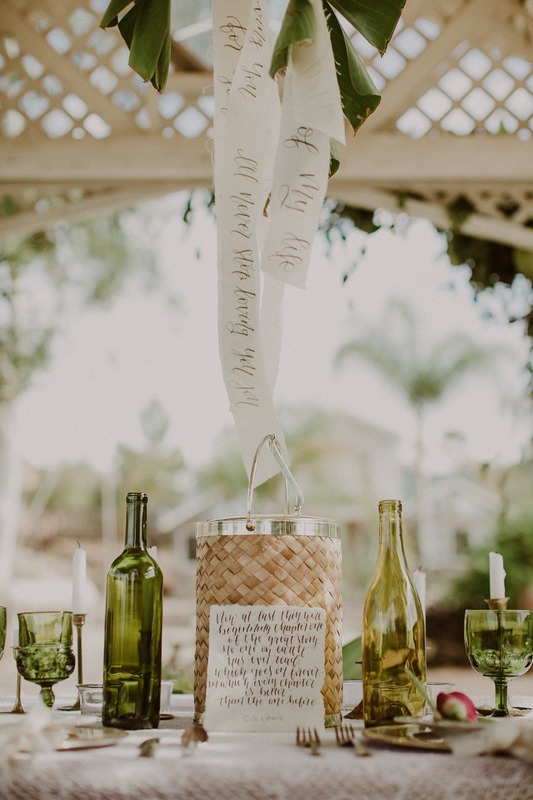 Raquel Khula added in one of our very favorites of the 5 love languages, words of affirmation, through her calligraphy drawn on pieces of cloth strung from the chandelier along with super sweet hand-written love letters and menus. 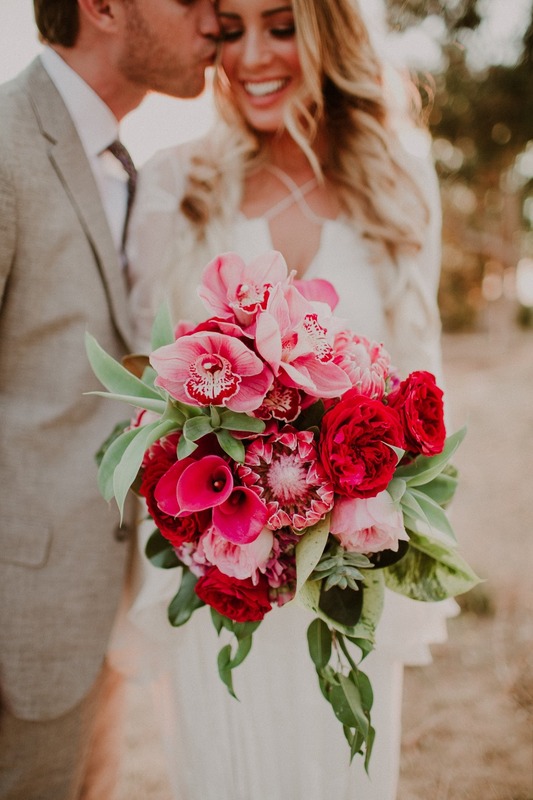 Wild Orchid Florist completed the look with their super fresh and colorful tropical florals…the bouquet was out of this world! 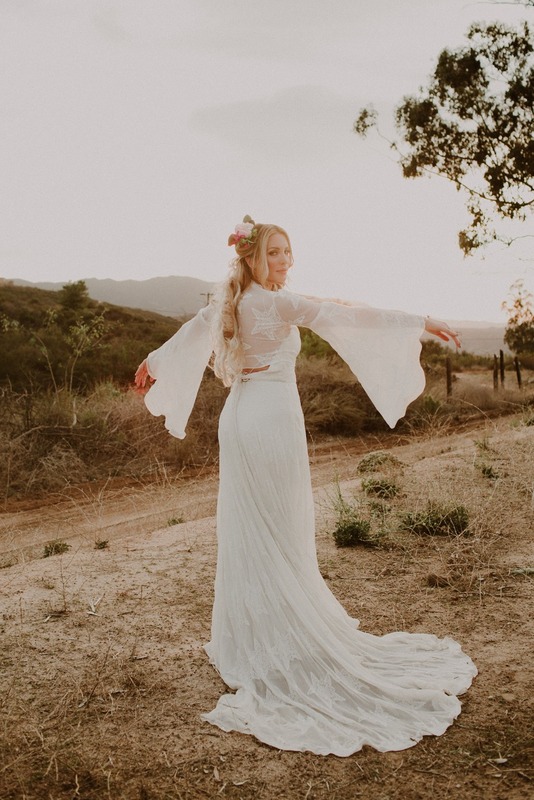 My favorite part though has got to be the model, who looks just like Princess Buttercup from The Princess Bride in her Rue De Seine dress from The Dress Theory San Diego with the most amazing crown made of crystals from Flight of Fancy and a ridiculously gorgeous ring stack from Marrow Fine. 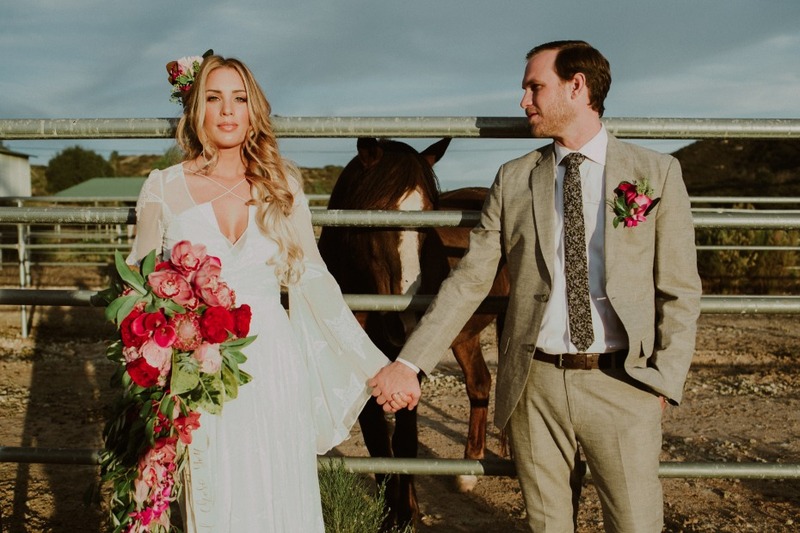 Her hair done by Connie Novello and make-up by Carina Tarpley were also perfectly on point. 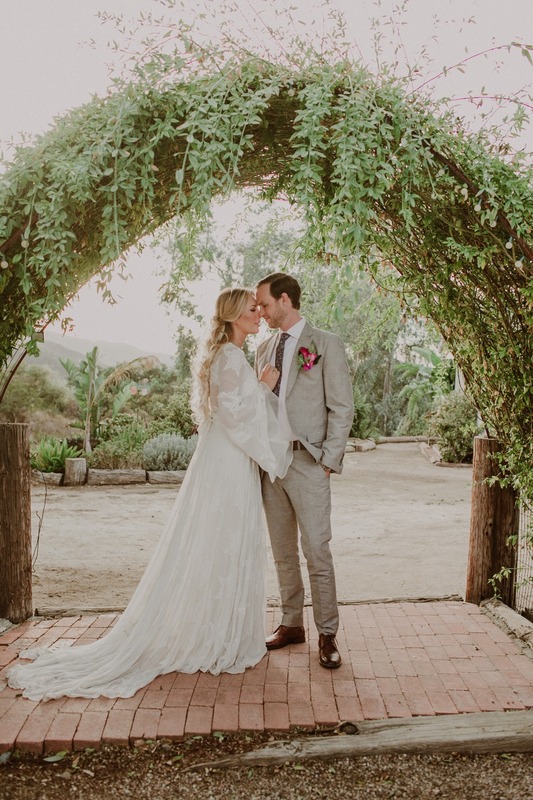 It was truly a fairytale come to life!